Marine starts her vocal training in 1999 under the supervision of Professor Elène Golgevit at the Conservatory in Sète. In 2007, she enrolls at the Haute École de Musique in Geneva where she continues her studies with Professor Gilles Cachemaille, at the same time taking master classes with world-class singers such as Teresa Berganza, Suzanna Eken, Udo Reinemann, Luisa Castellani, Ronald Klekamp, and Robert Expert. 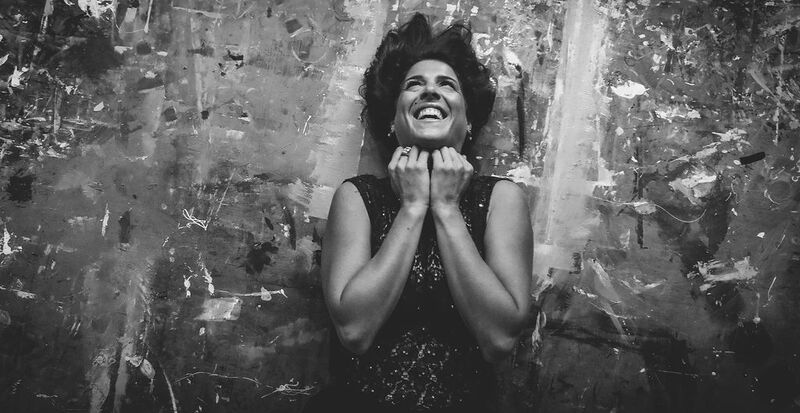 Marine continues to perfect her voice practice in opera by studying with Sophie Koch, Elène Golgevit, and Malcolm Walker, as well as in Lied and mélodie by studying with Helmut Deutsch and Françoise Tillard. She starts her teaching career in 2009 at Swiss music schools and later at the local Conservatory and various MJCs (community arts centers). In 2008-2009, she is the recipient of a study award offered by the Music Conservatory in Geneva, followed by a scholarship from the Fondation Colette Mosetti in 2009-2010. In August 2014, Marine is selected to participate in the prestigious Académie de Luzern Festival in Switzerland as sixth alto in the Choire of L. Berio under the direction of Simon Rattle. In 2009 she participates in the European Academy of Aix-en-Provence. She has performed arias from Mozart’s operas under the direction of Louis Langrée with the Camerata Salzburg, as well as under the direction of Peter Eotvos alongside the Héliade soloists and the Radio France Philharmonic Orchestra for the French creation of Bartók’s Noces de Villages at the Festival des Présences. In 2010, she plays the second female worker and the second peasant woman in Vincent d’Indy’s L’Etranger at the Festival de Radio France Montpellier, singing alongside Ludovic Tézier under the direction of conductor Lawrence Foster. 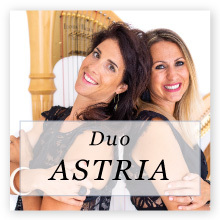 In 2018 she creates the duo project Astria with the harpist Doriane Cheminais, then a second one, Duolunaire, with pianist Sofia Novikova. They give recitals at festivals, museums, and so on. 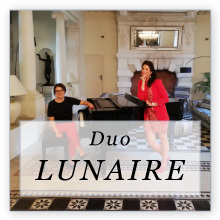 She also sings alongside vocalist Sabine Liguori, pianists Frederic Rubay and Julien le Herissier, cellists Clara Zaoui and Janice Renau, and violinist Eugénie Loison. In 2014 she starts working as a soloist with the Baroque ensemble of Namur, under the direction of Leonardo García Alarcón; as an alto soloist she performs oratorios – Pergolesi’s “Confitebor tibi, Domine” and Vivaldi’s “Dixit Dominus” – with the Per Cantum ensemble at Eglise St. Eustache in Paris, as well as Pergolesi’s Stabat Mater, Handel’s Messiah and Brockes Passion, and Bach’s Cantatas. In 2014 she takes part in the recording of Vincent d’Indy’s L’Etranger on three CDs, singing alongside Ludovic Tézier and the Baroque ensemble of Namur, under the direction of Leonardo García Alarcón, and two CDs with the Héliade vocal ensemble, under the direction of Elène Golgevit. Marine features in the performance of the opera Bistanclac, composed by Jean Marc Boudet, at the Théâtre Molière in Sète. From January 2015 to September 2016, Marine held the position of first alto and second soprano in the choir of the National Opera of Strasbourg. She performed in France and elsewhere in Europe as backup choir singer in performances by the Grand Théâtre de Genève in Geneva, Lausanne, Rouen, Strasbourg, Munich, and Montpellier. In parallel, Marine teaches singing. She is a professional trainer at Formavoix. Since 2017 she has taken a training course in Psychophonie, the holistic approach to singing developed by Marie-Louise Aucher. She is also a certified prenatal singing instructor.